Falling Kingdoms Has Sucked Me IN! You know those books. The ones that grow fingers that weave their way into your chest while you read without knowing it, and clutch your heart so hard there's no chance they'll let you go. It's magic when this happens. Plain and simple, magic. These become our favorite books, the ones we can't stop talking about. The ones that make it hard to be around real people because all we want to do is talk about what our heroes did in the last chapter. The ones we throw across the room when things don't go the way we think they should (Yes, I've done this. When Frodo put the ring on instead of throwing it into Mount Doom? Or when Clary found out Jace was her BROTHER? Yeah, those books got catapulted.). I keep trying to think of how this happens. What specifically is in a book that makes it so real and have this magic? It happened for me in Harry Potter (and still does! ), in the Infernal Devices series, and yes, even in Twilight (though I find that magic hasn't lasted, though I do still enjoy watching the movies). 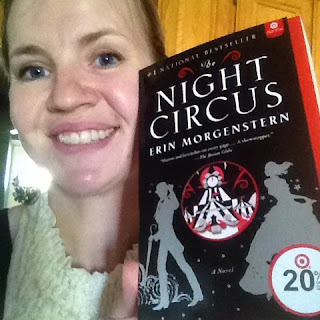 But still, why do I read The Night Circus every time it's fall just to taste the cinnamon-caramel-huggy-sweater feel of the book, and swoon over Celia and Marco's forbidden romance? It's the characters. It's the setting, the description, the emotions, the REALITY and tangibility that what's on the page paints a picture so vivid we can taste it. 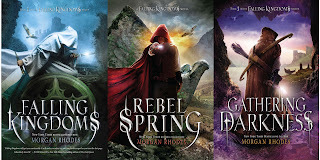 And my friends, it's happened again for me with Morgan Rhodes' Falling Kingdoms series. I haven't yet read Gathering Darkness, because it's my reward for finishing my edits, lol. Because I know once I start I won't be able to do anything else and I've GOT to get my Such a Clever Deception edits done, ha ha. What was the last book you read that sucked you in so completely?